Miller by Sperian , suppliers of global fall protection systems, has added a new Floating Frontal fall arrest attachment point to its range of Miller fall arrest harnesses. Engineered in response to a recent revision of AS/NZS 1891.1.2007, the Floating Frontal D-ring enables wearers to make an easy and quick frontal fall arrest attachment point connection. 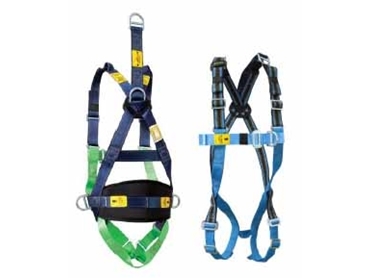 As a rolling product change to all Miller fall arrest harnesses which are currently equipped with two side D-rings, the Floating Frontal D-ring is located in the centre of the harness which helps increase wearer comfort by eliminating the need to pull the harness D rings or loops together to make a fall arrest connection. In addition to launching the Floating Frontal D-ring, Miller by Sperian has also announced that they have upgraded the back pads across the entire Miller range of harnesses. With an extra wide design for increased comfort and support, the back pad is also complete with a sweat absorbing 3D mesh panel.